TekSynap capabilities span a broad range of IT Services for Biomedical Research, Health Sciences, and Healthcare. The TekSynap team engineered an enterprise wireless deployment in 330 Veterans Affairs (VA) hospitals and large medical facilities using advanced technologies and design solutions to integrate medical devices and health mission systems, improving patient care through device mobility across multiple locations, maximizing availability of resources to patients. The VA’s deployment is the largest installation of wireless technology in support of a healthcare environment in the world. We have supported modernization of Electronic Health Record and Health Care Management systems through our system development support for SOA modernization of the VistA environment and Medical Billing system through our support for ICD-9 to ICD-10 classification system migration. We provide Research & Development support for mobile health applications through our development of the iTox application demonstrating how health practitioners can leverage technology to improve patient care. Physicians who use botulinum toxin to treat their patients want to ensure perfect aesthetic treatments. To achieve this goal, the botulinum toxin must be administered in the correct injection sites, using precisely the correct dosage for symmetrical results that are not overdone. 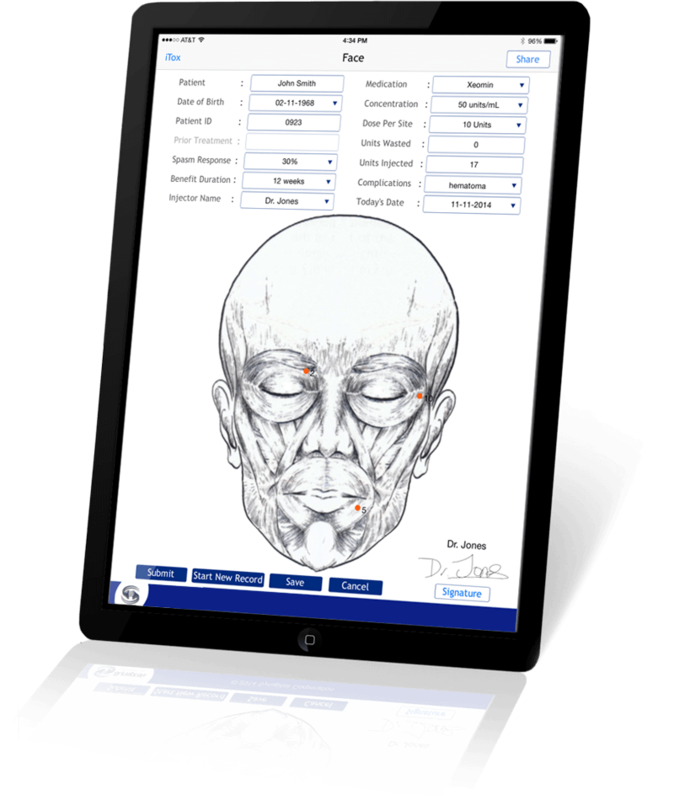 While a relatively simple procedure, injecting botulinum toxin requires planning, attention, focus, and skill.